As a successful Virtual Assistant for the last 19 years and also as a Business Owner, I have learned that a good CRM is priceless in order to run and GROW your Business. For those of you who don’t know what the heck a CRM (Customer Relations Management) software is, it’s software like an online rolodex to “manage” your Clients and sales pipeline. Successful companies do more than just find new customers, they maximize every interaction, with the customers they already have, too. Doing that requires more than just keeping track of names and basic contact information, though. It means some record keeping effort on the part of your customer-facing employees, and it also requires a database-driven application that records everything your sales people need to know to keep customers happy and most importantly, keep them buying. That’s where a customer relationship management (CRM) app comes in. Often small to midsize businesses (SMBs) try to mirror CRM functionality with just a large and ever-growing spreadsheet. However, not only is CRM software easier to use than a spreadsheet, it’s what you’d expect if your contact list decided to evolve a brain. It records your customers contact information and remembers the details of your relationship and every interaction – whether by phone or email, and nowadays across other channels such as social media or even your customer help desk. This information is a gold mine of opportunity, letting you identify prospects for up-sell or cross-sell, convert existing customers to new products or services, target new marketing, or even track invoices. Choosing the right CRM software for your business can dramatically improve your team’s collaboration and productivity, increase sales, and heighten customer satisfaction. Best Overall – ZOHO CRM. Cost: Free up to 10 users; $12 per user per month. Easy to implement, intuitive to use and inexpensive to adopt. 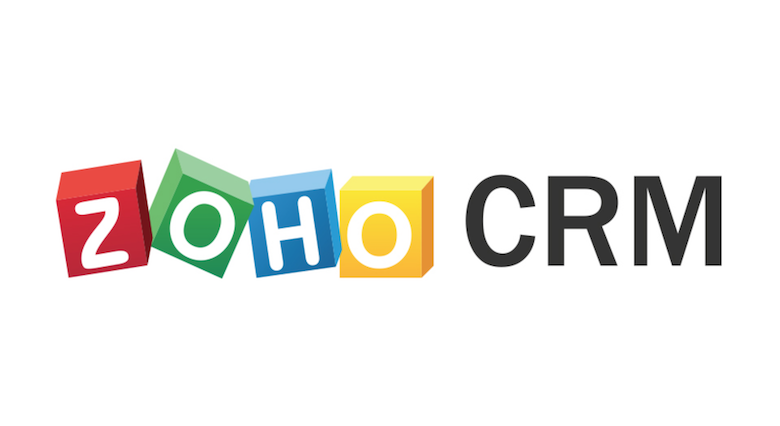 ZOHO CRM is our 2019 Best overall CRM. 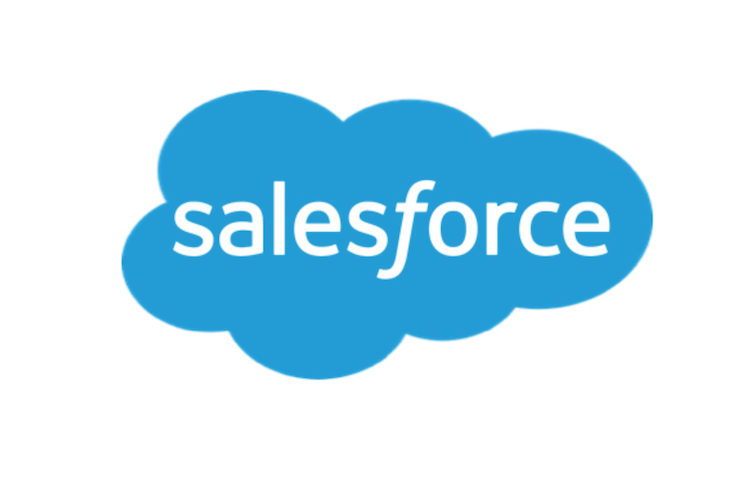 Our 2019 award for Best CRM Software for Small Business goes to Salesforce, because it’s an established full-featured CRM that can meet the needs of even the largest businesses. We recommend HubSpot as our 2019 pick for the best CRM software for very small businesses. 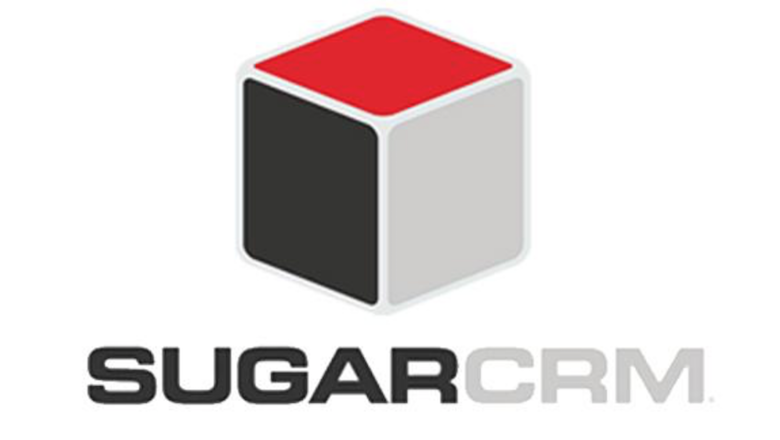 For independent contractors and owners of tiny businesses, this software offers an easy entry into the world of CRM solutions. 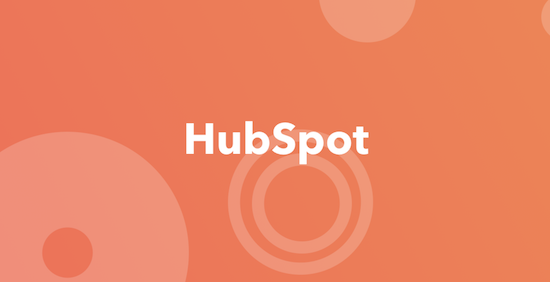 The free version of HubSpot is a must-try for very small businesses, because in some cases, it may offer enough functionality to improve processes and organization at zero cost. Less Annoying CRM is our 2019 best pick for most affordable CRM software. With just one subscription tier of $10 per user per month, this approachable CRM takes the complexity and expense out of adopting a customer relationship management solution. A newcomer to the CRM scene and the smallest company on our best picks list, this solution lacks the bells and whistles the competition has, but also simplifies the implementation process. We hope this sheds some light on what a CRM is and does to help YOUR Business GROW! Drop us a line if it has helped YOU! We would LOVE to hear from YOU! This month’s post is for us Women leaders in Business. I hope you find it helpful. If you need an Assistant, Graphic Design, Typing or Social Media enhancement, please call 1-855-366-6271; donnassecretarialservice@gmail.com or visit http://www.DonnasSecretarialService.com. Women have long been told that thinking and acting “like a man” in the workplace is the only way to get ahead and to be taken seriously. This mentality may have prevailed decades ago when women were just gaining a foothold in the professional world, but modern women have learned that career success is not about adjusting to the male-dominated status quo. It’s about changing that status quo by embracing what makes the female perspective unique, and overcoming the doubts that keep women from reaching their full potential. This is especially true of young female professionals who are just beginning their careers and have aspirations of rising through the ranks in their industry. Women who want to lead may find themselves up against superiors who question their priorities or blame disagreements on them being too “emotional” or “aggressive.” Worse yet, these women may have trouble find the leadership opportunities they’re looking for in the first place. Whether there’s a leadership role you want at your current company or you’re fighting to create your own, here’s some advice from successful female business leaders to help you navigate your path. Fear is consistently one of the biggest challenges women say they face in the workplace. It’s the fear that they won’t be taken seriously by the “boys’ club” that runs their company. The fear that having a family and raising children will reflect negatively on their commitment to their careers. The fear that anyone who has ever said their gender is a hindrance was actually right. Shattering your career inhibitions starts with the right attitude. Marygrace Sexton, CEO of Natalie’s Orchid Island Juice Co., said it’s important to embody self-assurance and professionalism in all that you do. Mentorship can give any professional a leg up in their careers, but entry-level women stand to gain a lot from having a strong workplace advocate. Although this person doesn’t necessarily have to be someone within your company, an in-house mentor may be able to connect you with the right people in the organization to propel yourself forward. Julie Burleson, founder and CEO of Young Chefs Academy, said to look for someone you work with who is particularly impressive and sets an example for others. Make the effort to ask this person questions and develop a good relationship, she said. One of the best ways to get noticed at work is to promote yourself and vouch for your own abilities through the work you do. Career coach Mueller advised women to develop their leadership skills by volunteering for small-scale projects, such as cross-department committees and extra assignments to show your supervisors what you’re capable of. But performance is only one part of demonstrating your value in the workplace. Mueller also noted that networking — especially within your own company — is an often overlooked, but highly important tool for women who want to advance their careers. Burleson offered a word of caution, however: Taking on too much “extra” work could end up backfiring if you don’t manage yourself well. Women ask questions, use facts and emotions in decision-making, and tend to favor collaboration, Cork said. These traits are necessary to build dynamic teams and lead them to success, but they can also be misdiagnosed as weakness by a more aggressive co-worker. Being “tough” doesn’t mean steamrolling your team; it means showing others why a collaborative leadership style gets better results. “It is imperative that women in leadership maintain their intrinsic style, while not being afraid to stand their ground when they know they have the best idea or right path forward,” Cork said. Many female professionals have felt the effects of the gender gap during their careers, whether it was a pay dispute, a lost promotion or just a snide comment from a co-worker. Even if your work environment champions equality, you probably know other women who have faced some kind of discrimination, subtle or not, because of their gender. It’s difficult to think this way when cases of gender inequality are talked about in the news and on social media every day, but if women want to be viewed as equal in the workplace, they must stand their ground and demand the respect they deserve — and it starts by behaving as if the gap has been closed. “I have noticed that if you act like there’s equality in the workplace, then there will be,” Stephenson, of Smoke’s Poutinerie, said. That’s not to say that people in the workplace. A shift in mentality — that is, truly believing and acting like women’s opinions and contributions are equal to men’s, because they already intrinsically are — can spark the necessary discussions to truly create change in the workplace dynamic. To this end, Sexton, Natalie’s CEO, reminded women that their gender should never be an excuse to settle or not achieve their goals. Thank you again for reading this article. Well, summer is here, finally. Looking forward to enjoying a few “Lazy, Hazy Days” with my husband down the beach and with possible friends. But, in the meantime, it’s Work as usual! No one can dispute the countless benefits technology has brought us. It has undoubtedly allowed us to connect, perform, improve and leverage our resources beyond what was once imaginable. We all make daily use of a wide variety of different tools and devices to make life easier and more comfortable. How many tools and apps are you currently using to optimize your time? If you have doubts that you are using your time wisely, this app will send you weekly reports to indicate your time thieves. You may be shocked to discover how much time you are wasting. If you are struggling to manage everything you have to do and you work with many different devices, this app is for you. It is a great free tool which is compatible with your mobile, computer, gmail, outlook, etc. It helps you to manage your tasks easily and reminds you of them wherever you are. There are many apps that allow you to transfer content from your computer to other devices, but Dropbox is free and easier to use than others. With the Dropbox app, you can access and share important files on the go. Evernote is a free productivity tool that allows you to capture all your ideas, thoughts and images in many different ways, eg with voice, notes or images. You can even record your meetings, interviews, speeches and ideas, create lists, add voice or text attachments and share your files with friends. Now you can also sync Remember The Milk with Evernote to really optimize your time. Need to just get something done? This app is based on the principles of the pomodoro technique for individuals who procrastinate and feel overwhelmed by tasks. It is designed to enhance your focus and remove any anxiety you might have with time. This is a great alternative to time-sheets if you need to track how much time you spend on different projects. Effective time management starts with being clear on exactly how much time you actually spend on your projects and tasks, and then analyze how you can manage them more effectively. Mindmapping is a great productivity technique, and Mind42 is the best free mindmapping app. It helps you to get more organized by focusing your thoughts, thereby gaining clarity on what needs to be done. This free software allows you to back up, restore and synchronize your files easily. It not only saves you time now, but also in the future. If you have never backed up your files before, you should certainly not overlook this pivotal tool. Do you want to manage your to-do lists effectively? Check this out if you find it difficult to manage all your tasks, to work with your to-do lists and to organize your goals. This task management system helps you to target what you should be focusing on to reach your objectives. It automatically generates to-do lists, with priority actions for your immediate attention so that you can track your progress methodically. Do you often need to capture business cards? This free Linkedin app allows you to take a picture of a business card, capture the information and upload it immediately. This way you can stay on top of new connections without wasting time getting organized and connected. I hope this Post has been a help to you. I use some of these apps/software myself. This month’s post is on “How To Get the Most Out of Virtual Assistants. 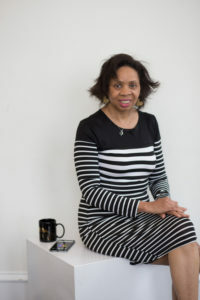 There are many VA tools out there to help busy CEOs and executives, whether they hire a VA (such as my Company, Donna’s Secretarial Service,) or not. In this post, I will discuss Microsoft Window’s Cortana, Apple’s SIRI, and Google Now. I hope this helps you! Virtual assistants like Siri, Cortana and Google Now have become a fixture in many people’s daily lives, helping them get driving directions, find phone numbers and search the Web using their voice. Now a crop of savvy users have found ways to use those tools at work, too. Virtual assistants can tackle a range of workplace tasks, such as scour emails for important information, send reminders about future appointments and set up meetings automatically. Thanks to big data and artificial intelligence, assistants are better able to understand the way people really communicate and are beginning to anticipate their needs. According to Gallup, nearly two-thirds of working adults say they don’t have enough time in the workday to complete what they set out to do. Here’s a look at some of the ways people are using the fast-growing army of virtual-assistant bots to make their work lives more efficient. Aimy Steadman, chief operating officer of BeatBox Beverages, an Austin, Texas, startup that sells boxed, wine-based cocktails, needs to ask her roughly 50-member sales team the same questions each day: What sales did you make? Which distributors did you check in with and what updates do you have from them? Instead of having to remember to send out a daily email, she relies on a piece of artificial-intelligence software called Howdy to check in with her staff and get the information from them. Howdy, which works inside the popular office-productivity software Slack, is programmed to shoot each member of her team those questions each day. The program collates the answers into a single document, which it sends to her when the answers are ready. If she needs answers sooner, she sends a chat to Howdy, typing “Howdy, do you have an update for me?” into the Slack interface. Howdy then sends her a document with employees’ responses, while sending a reminder to those who haven’t gotten around to it to pony up. The time saved by not having to send out the daily email and collect the information is time she can spend “growing the business,” Ms. Steadman says. The accuracy of apps that recognize speech was poor for a long time but has surged in the past two years, according to Stanford University computer-science professor Christopher Manning. That has made it much more feasible to do a number of tasks by voice command alone. It’s also possible to search through all the files on a computer by voice. Mike Halsey, a U.K.-based technology writer, uses Cortana’s signature voice command—“Hey Cortana”—to search for items on his PC. Rather than search for a document by calling up individual apps, Cortana will automatically search through all Microsoft apps, such as Word and PowerPoint. Cortana’s voice assistant understands what he is saying 60% to 70% of the time, Mr. Halsey says. Russ Buchmann uses Google Now to avoid an all-too-common problem: When he’s close to a store, he realizes he needs more office supplies—but doesn’t remember exactly what. If Mr. Buchmann, head of IT at Tyrone, Pa., retailer Shoe Fly Shoe Inc., had human assistants, he could simply dispatch them to a store to buy the items. But with Google Now, he doesn’t need to. When he realizes he needs to buy routers, he says to his phone, “OK Google. Note to self: Pick up routers at Best Buy.” Google Now adds the note to his reminders list. The next time he finds himself close to a Best Buy, the female voice of Google Now pipes up with an alert reminding him that he has a shopping list there. “It takes some of the pressure off of having to keep track of everything,” Mr. Buchmann says. Both Siri and Cortana can also be configured for location-based reminders. In addition, workers can configure their virtual assistants to send time-based reminders—for example, to remind them to call someone by Wednesday or to file a document to their boss by a certain time. Of course, each company’s virtual assistant works best in its own ecosystem of apps. Google Now works best with Gmail and Google apps, Cortana works best with Microsoft products, and so on. Searching through emails looking for a particular piece of information is one of the most tedious work tasks. Now virtual assistants have been programmed to streamline that job by recognizing certain key pieces of information in the messages. For instance, when Mr. Buchmann wants to track his orders for new parts, he needs only to speak into his phone and ask it, “OK Google, show me my shipment.” Google Now dives into his Gmail account, pulls out a list of tracking numbers for packages en route to the company’s stores and reads them aloud. Likewise, Google Now can pull up flight information, saving him from digging through messages for the information. Microsoft’s Cortana tries to be helpful proactively. If the program detects language in an email that suggests the user is interested in having a meeting, such as “Let’s get together,” the program will ask if the user wants a meeting to be set up. Still, these email-sifting tools are fairly limited for now. For example, Cortana and Google Now can only do advanced scouring for package and flight information. It could take a long time to train the software to recognize other categories of information, as it requires feeding it masses of data. And Cortana’s predictive feature doesn’t work for inbound requests. For example, if a worker received an email from a salesperson that included the words “buy now,” the system wouldn’t suggest scheduling a meeting. Cortana was designed that way so users wouldn’t be inundated with requests they didn’t want. The drawback is that a request from an important person—who the worker might actually want to meet—will be ignored too. Setting up and keeping track of meetings is one of the main tasks of any real-life assistant. Dennis Mortensen, CEO of virtual assistant company x.ai, believes that software can do as good a job. With his company’s software, users can pick one of two personalities, Amy or Andrew, to be their virtual assistant. Once users have made their choice, they simply copy Amy and Andrew on emails sent to people the user intends to meet up with. (Their emails are Amy@x.ai and Andrew@x.ai.) The software detects language like “Let’s meet up” or “Can you schedule a call” in messages and chats with the person on the other end to set up a time, then sends a calendar invite. Bubba Page, CEO of Outro.com, has been using Amy over the past year. He was about to hire a real-life assistant, but says that with Amy, he hasn’t needed to. He says that as a startup CEO, he gets 200 to 300 emails a day. By the time two parties agree to meet, and then decide on a time and place, scheduling can take a lot of back and forth—he estimates it takes six emails on average before a meeting is complete. Amy saves him time by taking over that job. He says the software works well enough that he recommended it to his employees and that he uses the bot to set up all his meetings, except those with the most important people on his contact list, such as investors. Of course, the growing intelligence of virtual assistants comes with trade-offs. Privacy is a big one. Like a real-life assistant, the value of a digital assistant comes in knowing the boss—their past meetings, their priorities, and their preferences for who they like to speak with. For a digital assistant to shoulder some of the functions of a real-life one, it requires permission to access your personal data—and a lot of it. For Cortana to suggest a meeting, or for Siri to tie an unknown number to a person, they need to be able to read the content of your emails. Location-based alerts, like those offered by Google Now, require giving the assistant the ability to monitor your location all the time. Ultimately, individuals are providing tech companies with a far more intimate and complete picture of their lives than ever before. Ms. Dwoskin is a former Wall Street Journal reporter. She can be reached at reports@wsj.com. I hope you find this post informative and helpful.